Ed Sheeran's Shape Of You has inspired various artistes to contribute in exceptional ways to extend the song's reach. 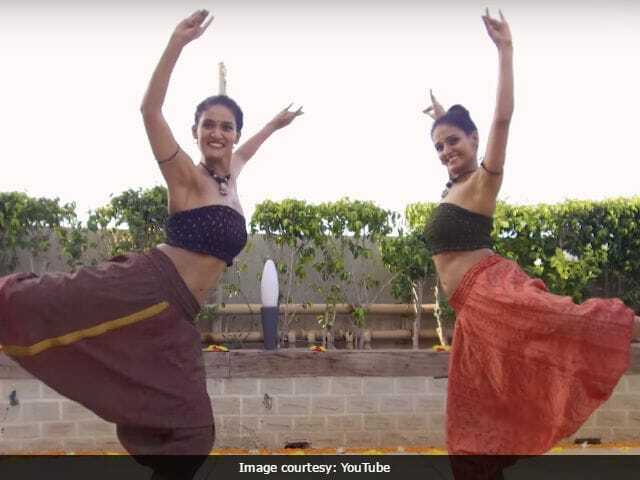 This story is about dancer-choreographer Shakti Mohan and her sister Mukti's now viral fusion dance tribute to Ed Sheeran's number, which has been blended with Carnatic music. Shakti posted a Bharatnatyam and Contemporary fusion dance piece on her YouTube channel, Nritya Shakti, which she started in 2011. Actor Ayushmann Khurrana is already a fan of Shakti's work. He shared a snippet of Shakti and Mukti's dance piece on Instagram and wrote: "So proud of Shakti Mohan for coming up with this epic stuff with her super sibling Mukti Mohan." Meanwhile, Shakti Mohan became a celebrity overnight after winning reality show Dance India Dance 2. Shakti's has performed in television shows and films like Rowdy Rathore and Kaanchi. She was the assistant choreographer to Vaibhavi Merchant for Dhoom: 3 song Kamli. Shakti Mohan also appeared as one of the judges and team leaders on dance reality show Dance and its sequel. Mukti is also a dancer like her sister and has participated in shows like Zara Nachke Dikha (2010) and Jhalak Dikhhla Jaa 6. She's featured in special songs in films like Saheb, Biwi Aur Gangster (2011), Daruvu (2012), Hate Story (2012) and Kaanchi (2014).